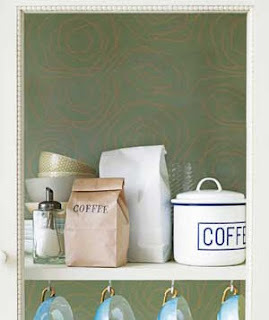 The best way to keep ground coffee or whole beans fresh is to store the coffee on a pantry shelf in an opaque airtight container away from light, heat, and moisture, says Scott McMartin, who has tasted more than half-a-million cups of coffee as a member of the Starbucks Green Coffee Quality group. (If you don't have a canister, close the top of the bag with a rubber band, then put the bag in a resealable plastic bag.) When you freeze the coffee you use every day, the fluctuating temperatures create moisture in the packet, which can leave your morning cup tasting like cardboard. "The cell structure changes, which causes a loss of the oils that give coffee its aroma and flavor," says McMartin. So why do so many coffee connoisseurs keep their stashes in the freezer? Probably because they stock up and store the coffee there for a longer time.